Pittsburgh officials said Monday that global terror attacks have prompted new safety precautions for local Fourth of July celebrations. Public Safety Director Wendell Hissrich promised a noticeably heavier law enforcement presence, including plain clothes police officers and more uniformed patrols near firework viewing areas like Point State Park. 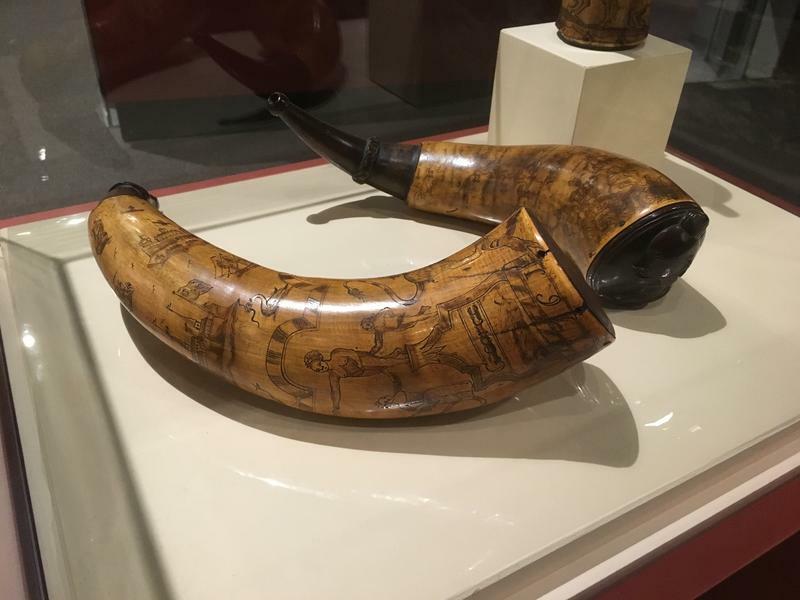 Long before cell phones held all of our photos and stored calendars for meetings, there was a primitive, but equally as personal object: the carved powder horn. 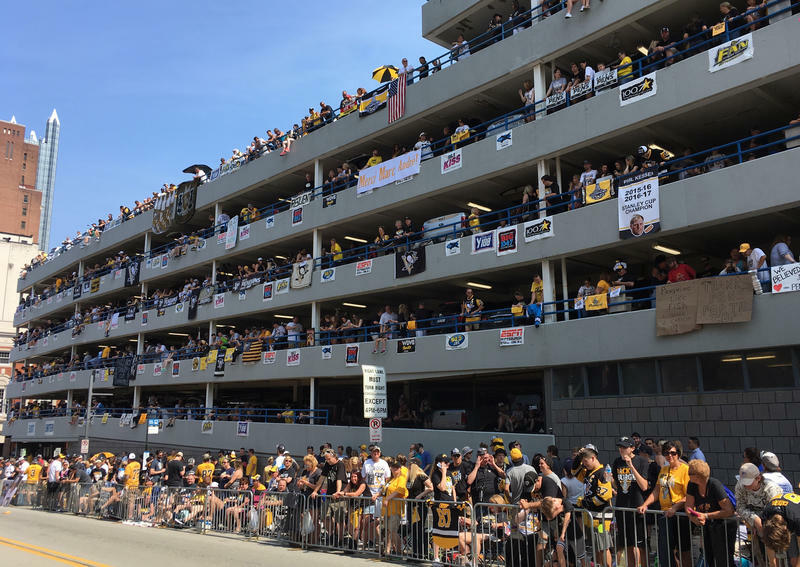 The Pittsburgh Penguins' Stanley Cup victory parade and rally drew an estimated 650,000 people downtown. Not bad for a city that, officially, has only 305,000 residents. Pictures of young refugees from the war-torn countries of Syria and Iraq have been defaced with spray paint at Pittsburgh's Three Rivers Arts Festival. Journalist Maranie Staab, of Pittsburgh, is currently in Iraq photographing the ongoing crisis there in Mosul. She posted a photo of the defaced images and a message for the vandal or vandals on Facebook: "If the person that did this happens to see this, I would welcome the opportunity to speak to you about these kids." The two defaced pictures showed refugee children. The vandals X-ed out their faces with spray paint. When it comes to Pittsburgh folklore, it's one of the favorites: Is there an underground fourth river? Does it provide water for the Point State Park Fountain? 90.5 WESA's Megan Harris and Margaret J. Krauss explore what's real and what may be a bit exaggerated. Pittsburghers have long been fascinated with the mysterious, underground “fourth river.” As much as they gush about the three visible rivers, they’re often eager to tell you about the secret waterway beneath the Golden Triangle. 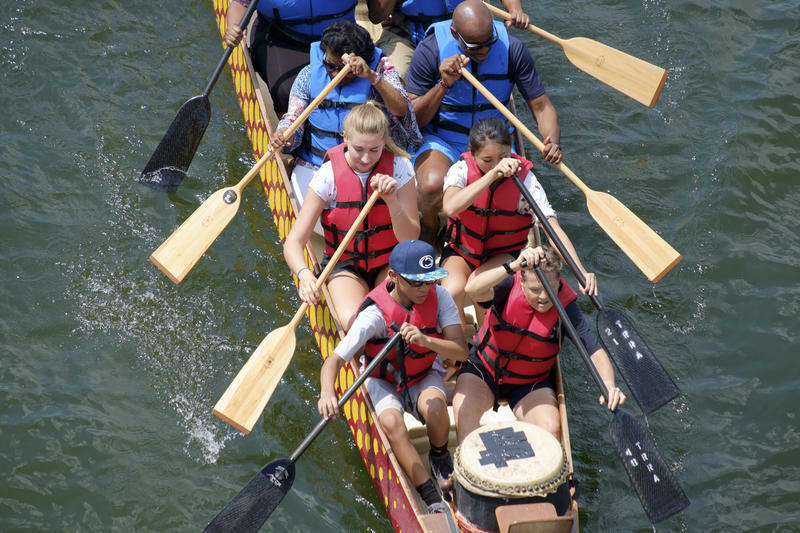 Pittsburgh's Three Rivers Regatta returns to the city Friday through Sunday after river debris caused by heavy rains prompted its cancelation last July. Paintings, figurines and dioramas fill the hallways of the Fort Pitt Museum. However, for most of January, the doors of the museum have been closed, as the pieces underwent renovations and workers installed new exhibits. Essential Pittsburgh took a behind-the-scenes tour of the facility ahead of their re-opening to see what went into the process. On a recent weekend stroll at Point State Park, in Pittsburgh, visitors sunned themselves in the grass and along the low walls of the park. 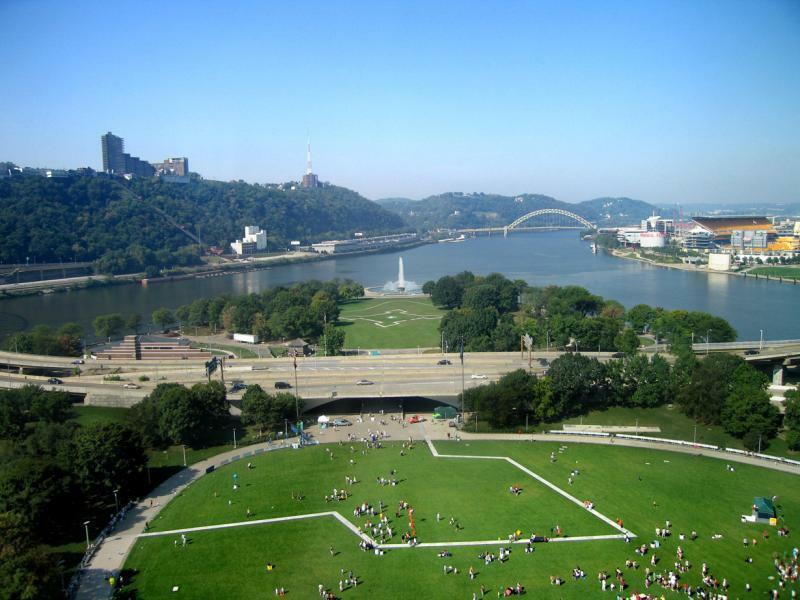 The park is a triangle of green at the very place where the Monongahela and Allegheny rivers meet to form the Ohio River. At the tip of the Point kids splashed in a fountain, and a rainbow shimmered through the spray. Looking east along the rivers bridges stitched the city together with yellow seams. This weekend marks 18 years for the Pittsburgh Triathlon, but this year, it’s a bit different. The event will move from its North Shore location of years past to Point State Park. Friends of the Riverfront holds the triathlon every year as part of its mission to highlight Pittsburgh’s rejuvenated riverfronts, said executive director Thomas Baxter. The 38th annual EQT Three Rivers Regatta returns to Pittsburgh once again - but without the water events. The high level of the rivers, along with strong currents and debris, prompted officials to announce Friday that water events, from boat racing, to jet ski shows to the "anything that floats" event are all canceled for the duration of the Regatta. All land-based activities will go on as planned. The three-day event will take place at Point State Park, on the North Shore, and on the Clemente Bridge, Friday through Sunday. Dog parks and basketball hoops bolstered Pittsburgh in the 4th annual rankings by The Trust for Public Land of the best park systems in American cities. On a scale of 1 to 5, the city earned a 3.5 “park benches” rating — tying Anchorage, Lincoln, Raleigh and Virginia Beach for 24th in the ParkScore Index. This is Pittsburgh’s first year in the rankings which expanded in 2015 from the nation's 60 largest cities to 75. After a 12-year $35 million renovation effort, Point State Park has been named nationally as one of the “10 Great Public Spaces of 2014” by the American Planning Association. Lisa Schroeder, President and CEO of Riverlife, says the restoration was much needed. 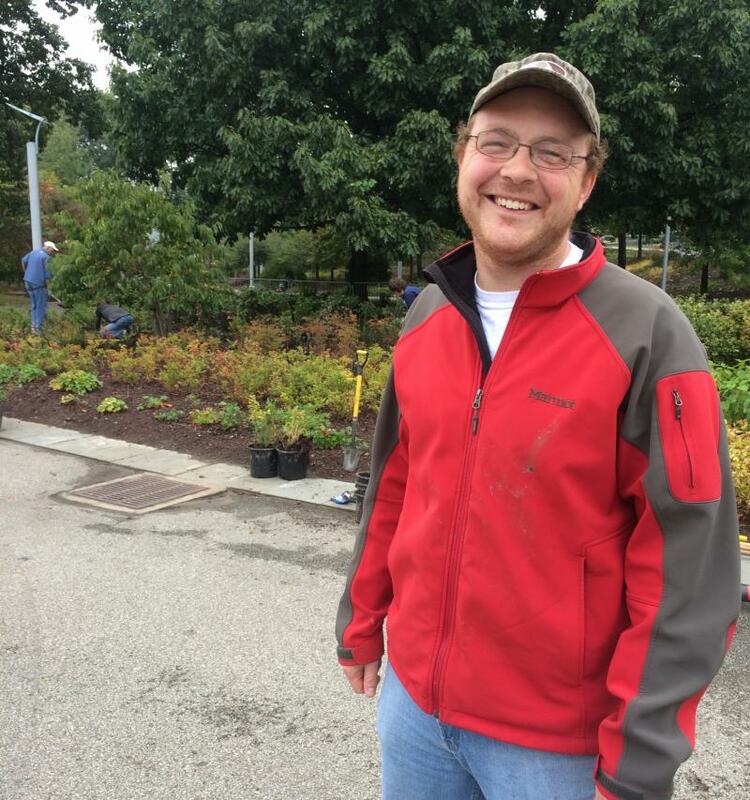 Penn State Master Gardeners, as partners with the PA Department of Conservation and Natural Resources, have been working in Point State Park refurbishing the historic flower beds put in on Earth Day. Representatives of Pittsburgh’s Christian, Jewish and Muslim communities will gather at Point State Park Wednesday for a 15-minute silent prayer vigil focused on ending violence and conflict. Starting at noon, participants will hold white flowers and pray for peace in Central America, Ukraine, and elsewhere. The ceremony will end a quarter hour later with the ringing of a bell. Helene Paharik, associate general secretary with the Roman Catholic Diocese of Pittsburgh, said the prayer will not include any spoken words or speeches. Americans have long celebrated the Fourth of July with fireworks, picnics and community gatherings, but ... pogo sticks? The annual EQT Pittsburgh Three Rivers Regatta and Fourth of July festivities will have many returning events and a few new twists this year, including extreme pogo championship Pogopalooza and a visit from several History Channel stars. 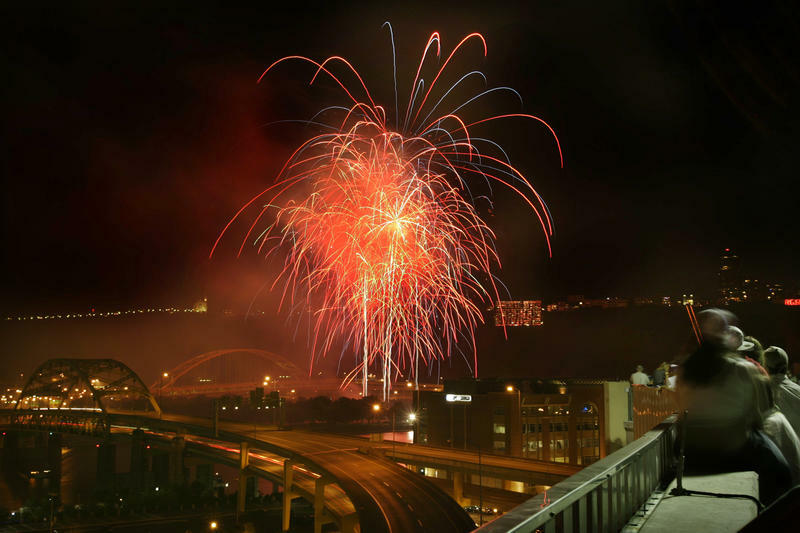 The celebration will last July 2-4 and culminate in Friday’s “Flashes of Freedom” Zambelli fireworks display, which will be launched from barges near Point State Park at 9:35pm. Kayakers and canoeists with disabilities soon will have better access to Pittsburgh’s rivers. 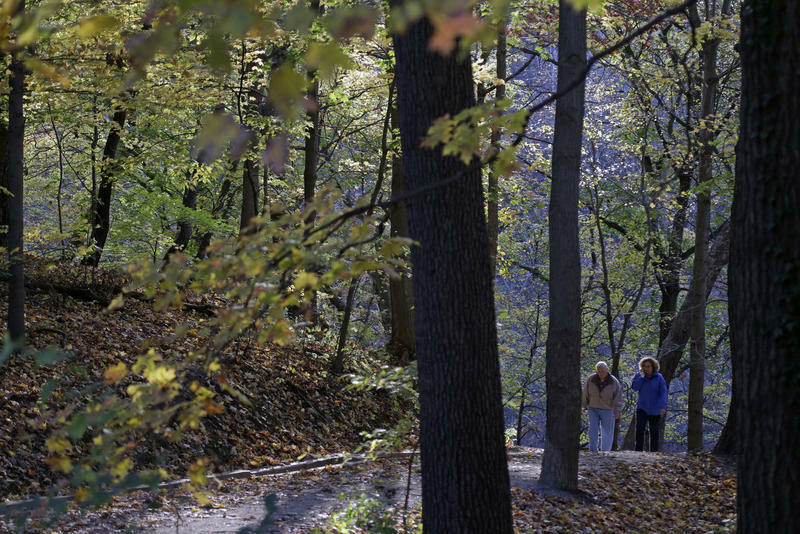 The Pennsylvania Parks and Forests Foundation will be installing an “EZ Launch” system at the Point along with ADA-compliant restrooms and an accessible route to Pittsburgh’s downtown. The launching area includes rollers that smoothly move boats in and out of the water, along with a transfer bench for wheelchair users. The dock will provide disabled boaters with a safe place to move from wheelchair, to bench, to boat and vice versa. About a month after its re-opening, the fountain at Point State Park is being tested by the Allegheny County Department of Health for Legionella. The move follows a report of one person coming down with Legionnaires' disease after a visit to the fountain. County health officials say it’s unlikely the infection came from the fountain, but they are testing it as a precaution. 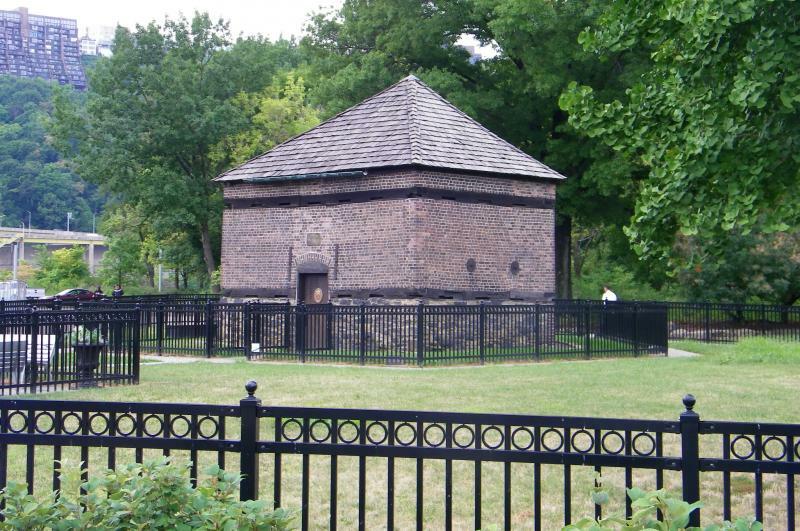 The oldest man-made structure in Pittsburgh is looking pretty good, according to a local architecture firm hired to assess the Block House in Point State Park. The building will celebrate its 250th year in 2014, and its owners are hoping to spruce it up a bit before blowing up the balloons and cutting the cake. More than 500,000 people attend the 4th of July extravaganza every year, flooding the banks of the Allegheny River, Point State Park and the North Shore river-walk for the annual Three Rivers Regatta. The powerboat championships, rock n’ roll and the “Anything That Floats” boat race are returning, but the 2013 Regatta Board has added some new features for this year’s celebration. 90.5 WESA Programming intern Reid Carter ventured down to Point State Park Friday evening to catch some photos of the official re-launch of the iconic fountain. 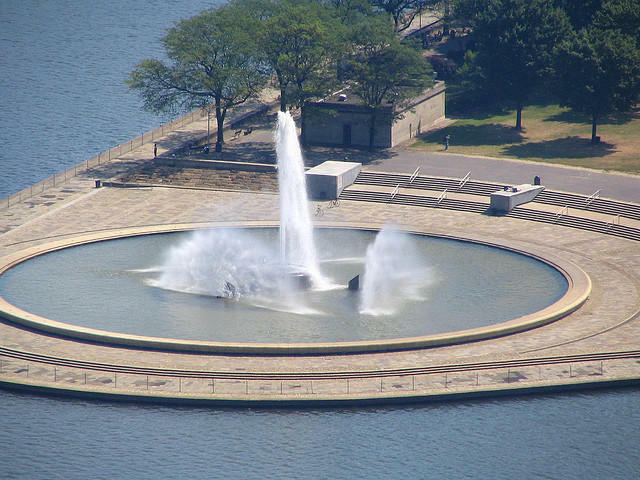 It's been four years since the fountain in Point State Park was last in operation. The fountain and the Park were in constant use, without any renovations for more than 30 years, until Pittsburgh's 250th anniversary. The reopening of the fountain marks the final phase of a 6 year renovation process, which has been documented on the Riverlife Taskforce Blog with before and after photos. The waterworks resume this weekend, just in time for the Dollar Bank Three Rivers Arts Festival. Guest: Lisa Schroeder is President and Chief Executive Officer of Riverlife Pittsburgh a group that's promoting the rebirth of Point State Park and the fountain. After years of reconstruction, the fountain at the Point will be turned back on this Friday. Since April 2009, Point State Park has undergone a $35 million renovation, including $9.6 million for the fountain makeover. 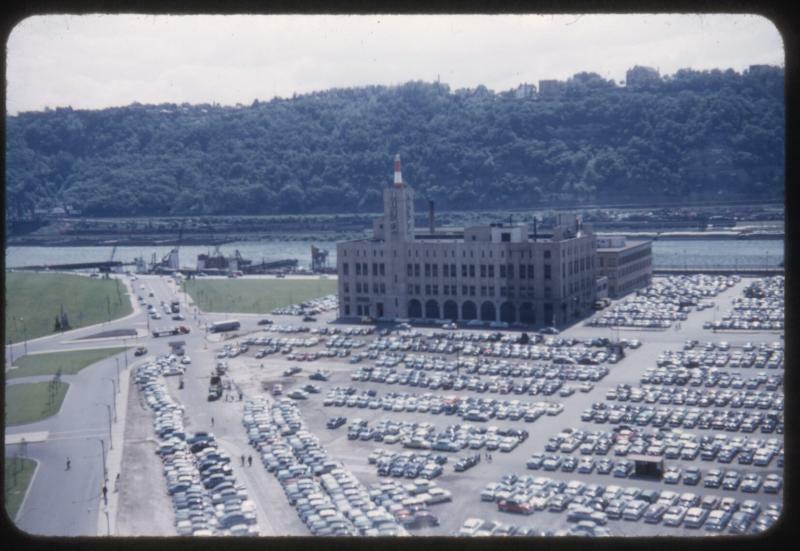 Point State Park's history goes back decades, with planning for the space beginning in the 1930s. Construction didn’t start until the 1960s, and the original fountain opened in 1974. After four years, the Point State Park fountain is ready to flow again, but some Pittsburghers won’t be getting as close as they had hoped. The Great Lawn, located on the fountain side of the Portal Bridge, will be fenced off and closed to the public Friday night during the celebration at the opening of the Three Rivers Arts Festival. Look alive, Pittsburgh — two of the year's busiest weeks are upon us. On Thursday, the Pittsburgh Wow! Partnership, a collaboration between some the city’s most prominent cultural, business and civic entities, announced a two-week bonanza of events meant to highlight and contribute to the city’s vibrancy. Taking place from June 7 to June 16, events include rededicating the Point State Park fountain, playing host to the Three Rivers Arts Festival, commemorating the completion of the Great Allegheny Passage and cheering on the Pirates at a string of home games.